The first leg of the exercise involved joint anti-submarine combat training and the second focused on amphibious operations. 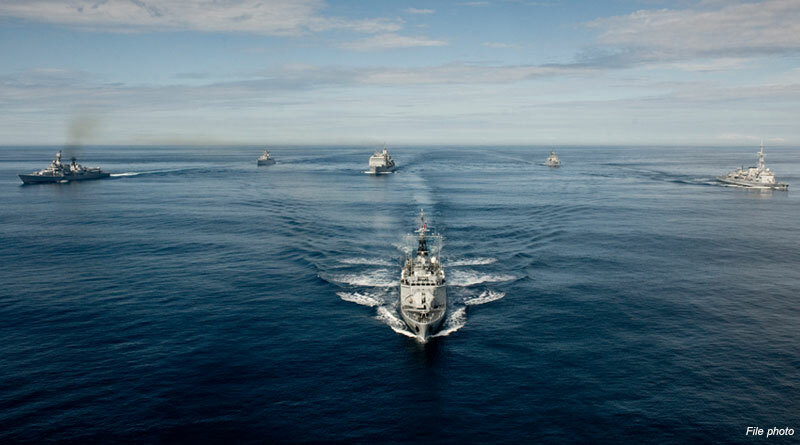 Bilateral exercise ‘Varuna-18’ between the navies of India and France has now entered its third phase, which is being conducted at France’s Reunion Island base. The ongoing session of the exercise started on May 1 and will continue until May 7. The phase 1 of the exercise, which took place off the Indian coast in Goa, involved joint anti-submarine combat training with the participation of both the French nuclear submarine and the Indian Kalvari Scorpene-class submarine. The phase 2 focused on amphibious operations off the Chennai coast, a French embassy statement said. From Indian side, two major vessels, the destroyer INS Mumbai and the frigate INS Trikand, and a multi-mission maritime aircraft P-8I Neptune, which is on the maiden deployment at Reunion Island, are participating. They will interact with the French ships permanently deployed at Reunion Island, including the frigate Nivôse. The exercise involves sailors simulating different scenarios, including air defense, firing, manoeuvers, asymmetric warfare and embarkation. Also, helicopters embarked on board navy ships are training for touch-and-go landings. “This exercise illustrates the strong interest France and India share concerning maritime security issues in this region,” said the Ambassador of France to India, H.E. Alexandre Ziegler. Pertinently, India and France agreed on an action oriented Joint Strategic Vision for Cooperation in the Indian Ocean Region during the French President Emmanuel Macron’s visit to India on March 10 this year.